For plant wide distribution of chilled or tower water, Advantage recommends a system balance valve be installed between the "to process" and the "from process" lines. The use of this valve prevents dead heading of the process pump in load or low flow situations. 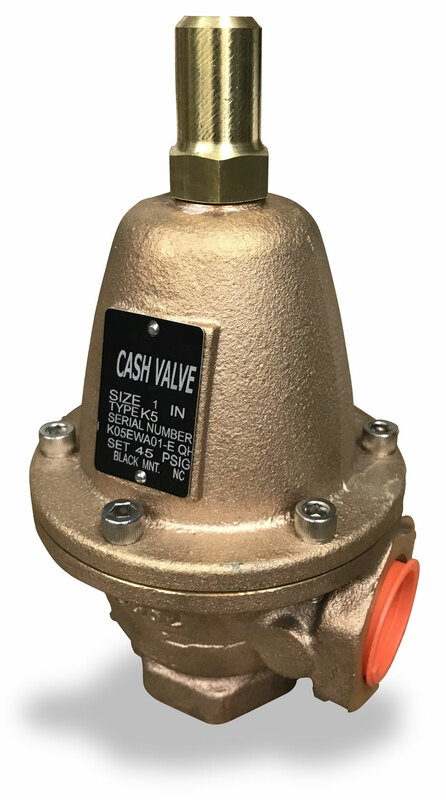 Advantage suggests the use of the CASH-ACME Type K-5 angle type back pressure valve. 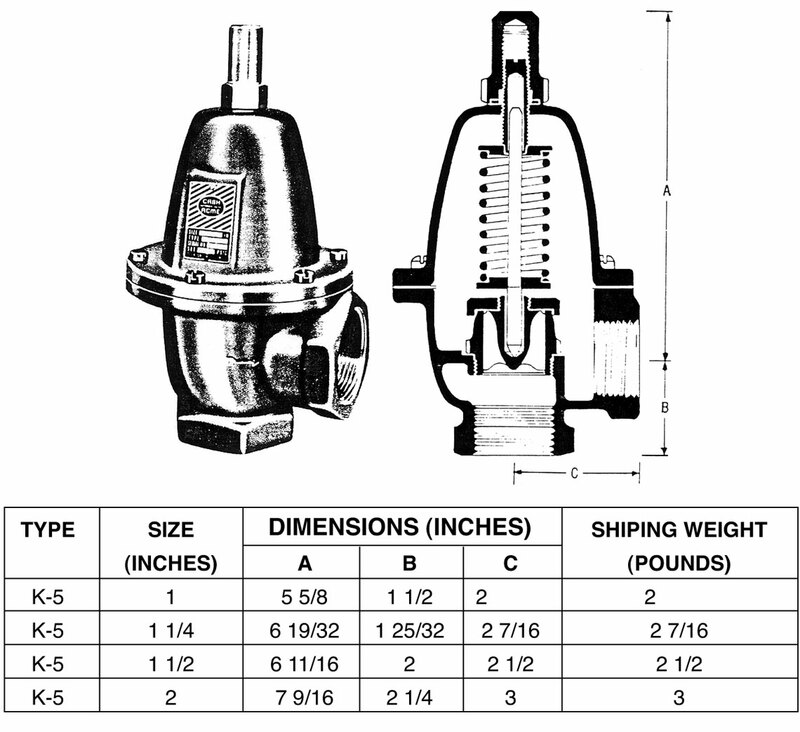 The K-5 valve is a high capacity angle by-pass regulator or back pressure control valve. System pressure to be regulated is connected to the bottom (inlet). The system excess to be returned to the reservoir is connected to the side (outlet) as shown below. The K-5 can also be used to maintain a certain pressure difference across the process. The adjustable spring provides for various pressure settings within its range. See capacity information. Type K-5 is available in 1", 1¼", 1½" and 2" sizes. Features include: bronze body and trim, screwed ends, bottom and side female connection, adjustment spring, and asbestos gaskets. Type K-5C has a silicone rubber seat disc to provide for tight shut-off. This valve or an equivalent can be obtained at a local plumbing supply house. 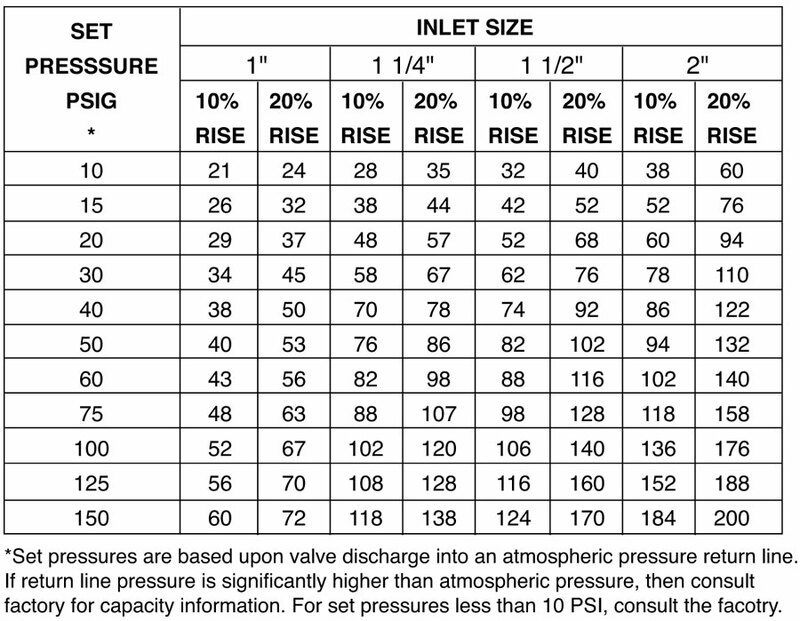 Set Pressures are based upon valve discharge into an atmostpheric pressure return line. If return line pressure is significantly higher than atmostpheric pressure then consult fctory for capacity information. Would you like to Download FYI #189 to your browser?